On the 7th (Sun), wander the streets of Lapad. 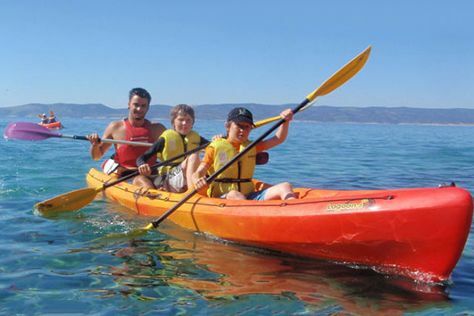 Get ready for a full day of sightseeing on the 8th (Mon): delve into the distant past at Walls of Dubrovnik, add some adventure to your tour with a kayaking and canoeing tour, and then head off the coast to Island of Lokrum. To find out how to plan a trip to Dubrovnik, use our trip itinerary maker. Abilene, USA to Dubrovnik is an approximately 24-hour flight. Traveling from Abilene to Dubrovnik, you'll lose 7 hours due to the time zone difference. While traveling from Abilene, expect a bit cooler days and about the same nights in Dubrovnik, ranging from highs of 64°F to lows of 50°F. Wrap up your sightseeing on the 9th (Tue) early enough to ride a ferry to Korcula Town. On the 10th (Wed), make a trip to Atelier Abel, view the masterpieces at Bags by Kristina, then get outside with Freestyle, then don't miss a visit to Korcula Old City, and finally appreciate the extensive heritage of Kula Svih Svetih. To find ratings, other places to visit, where to stay, and more tourist information, you can read our Korcula Town trip maker tool . You can ride a ferry from Dubrovnik to Korcula Town in 2 hours. Alternatively, you can do a combination of car and ferry. 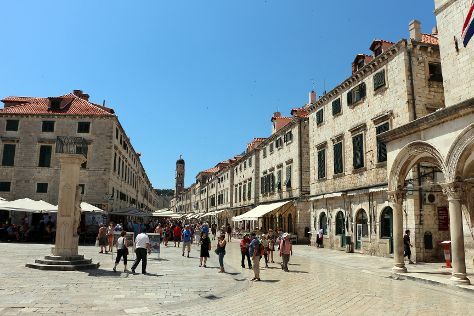 In April in Korcula Town, expect temperatures between 66°F during the day and 53°F at night. Cap off your sightseeing on the 10th (Wed) early enough to catch the ferry to Split. On the 11th (Thu), admire the landmark architecture of Cathedral and Bell Tower of St. Domnius, then test your problem-solving skills at popular escape rooms, then take a memorable tour with Tours, and finally don't miss a visit to Fruit's Square (Trg Brace Radic). Here are some ideas for day two: take a stroll through Riva Harbor, then explore the ancient world of Diocletian's Palace, and then admire the striking features of Grisogono - Cipci Palace. Inspirock's itinerary builder makes planning a Split trip simple and quick. Traveling by ferry from Korcula Town to Split takes 2.5 hours. Alternatively, you can do a combination of ferry and car. Expect a daytime high around 66°F in April, and nighttime lows around 50°F. Cap off your sightseeing on the 12th (Fri) early enough to travel back home.